The Mule - Blu-ray Review - ReDVDit! The Mule is a 2018 American crime drama film that was produced and directed by Clint Eastwood, who also plays the lead role. The screenplay, written by Nick Schenk, is based on The New York Times article titled The Sinaloa Cartel’s 90-Year-Old Drug Mule written by Sam Dolnick, which recounts the story of Leo Sharp, a World War II veteran who became a drug courier for the Sinaloa Cartel in his 80s. 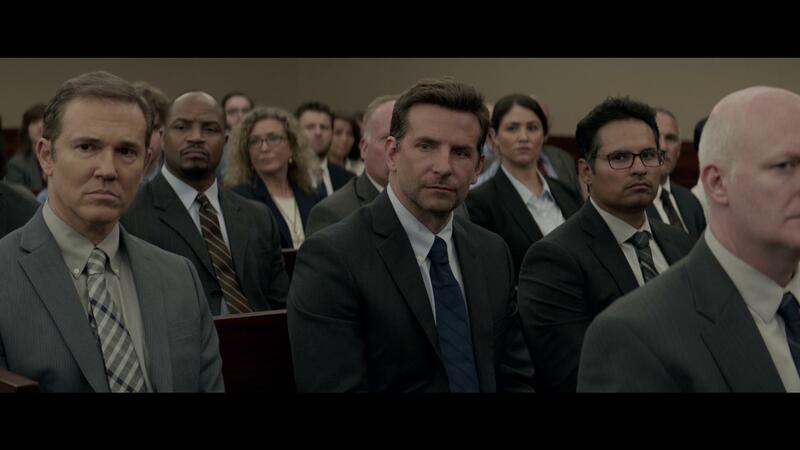 Along with Eastwood, the film stars Bradley Cooper, Laurence Fishburne, Michael Pena, Dianne Wiest, and Andy Garcia. 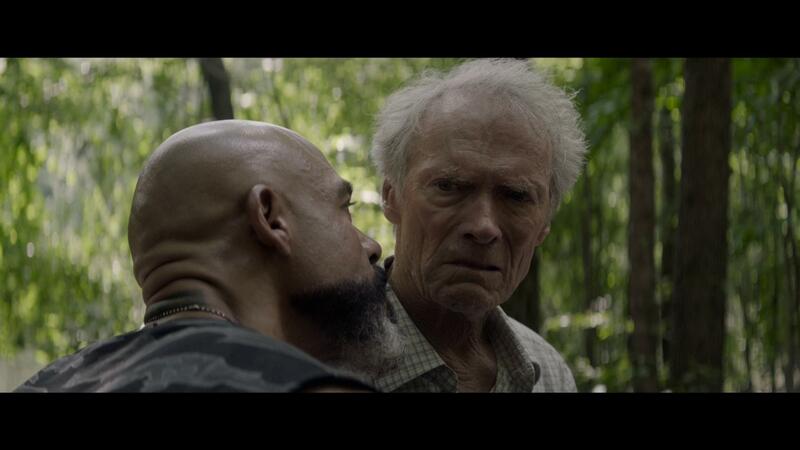 It is Eastwood’s first acting project since 2012’s Trouble with the Curve, and his first starring role in a film directed by him since the 2008 film Gran Torino. Filming began in June 2018, taking place in Atlanta and Augusta, Georgia, with other film locations in Las Cruces, New Mexico. 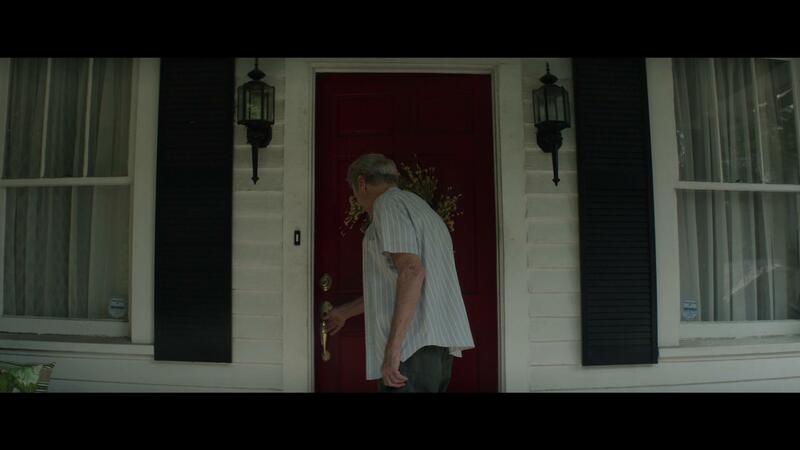 Earl Stone is an award-winning horticulturist and Koran War veteran who’s living in Peoria, Illinois; and is facing financial ruin and is completely estranged from his family. Desperate for money, he opts to become a “mule” transporting cocaine through Illinois for a Mexican drug cartel. Facing little suspicion due to his age, race, spotless criminal history, and strict adherence to driving laws, Earl is soon trusted with considerable amounts of drugs and paid in large amounts of cash. 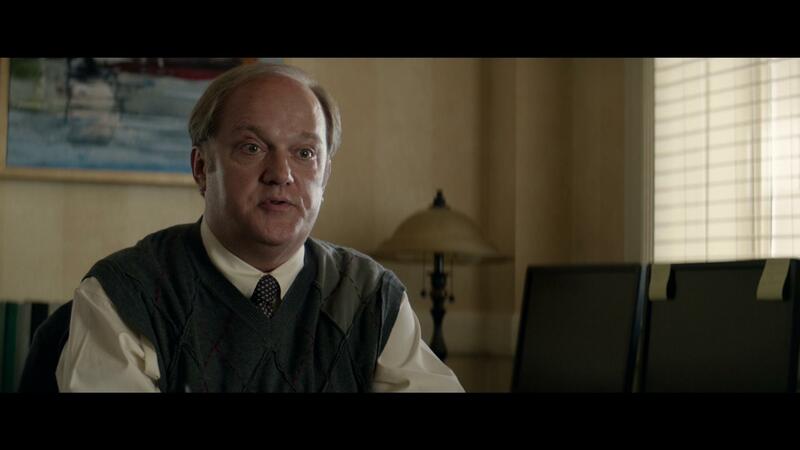 With the money he gets from drug-running, he buys himself a new truck, settles his financial problems, pays for renovations of the local VFW Post and his granddaughter’s wedding and education. The Mule was released in the United States on December 14, 2018, by Warner Bros. Pictures. It has grossed $166 million and received positive reviews from critics, who called it “poignant and charming” and praised Eastwood’s performance, but also noted the lack of true dramatic heft. Clint Eastwood has been making some pretty damn solid films throughout his tenure as a director, and The Mule is certainly no exception to that. Overall, the story is very well written, and has some absolutely phenomenal performances that fans of Eastwood should certainly enjoy. Eastwood’s portrayal of the character, while it doesn’t necessarily feel like it’s fitting in any way, shape, or form, it’s definitely handled very well and his overall charming personality accompanied the character in a very noticeable way. Overall, my wife and I really enjoyed the movie, the story, and the general experience that it provided. Made available in a 2.40:1 aspect ratio courtesy of Warner Bros. Pictures, the Blu-ray release of The Mule looked pretty damn good as it played out on my living room television. Originally shot with a digital 2.8k resolution, the movie was ultimately scaled down for the final Blu-ray release. The scenes that take place outdoors absolutely shine with this release, and give audiences a jaw-dropping view of the landscape in New Mexico. The color palette seemingly keeps itself on the softer side, the movie as a whole was generally pleasing to the eye, with no artifacts, no edge enhancement or no DNR, ensuring a fine presentation for any TV capable of displaying things in 1080p. After sitting down with this last night, I am definitely going to have to check out the 4K release sometime and see how the HDR utilization adds to the colorization of the movie, and the details of that beautiful scenery. 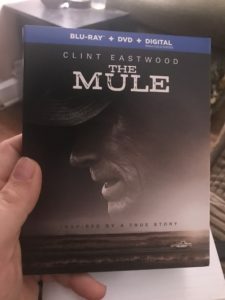 Packaged with an English DTS-HD Master Audio 5.1 mix, the Blu-ray release of The Mule does a really good job with the movies soundtrack. While the movie as a whole is pretty dialogue-driven, the majority of the delivery is handled through the front channels. And those sporadic moments that come through the rear channels were just enough to handle the exterior sequences and add a level of immersion to allow for an appreciation for the work that went into the movie. Personally, I would have loved to have seen the surround channels included for more immersion with those outdoor sequences; but other than that, I personally can’t complain too much as the delivery was pretty solid. And the dialogue is certainly clean, clear and the characters able to be heard and understood without any need to manually adjust the volume levels. The Mule comes packaged in the standard two-disc Blu-ray amaray case. In that case, the Blu-ray and DVD copies of the movie, neither disc featuring any artwork that’s related to the movie outside of the standard release text. 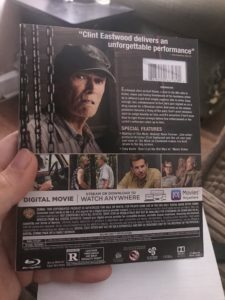 There is also a digital copy redemption pamphlet and a slipcover that’s been made available in the initial pressing of the release that features the same artwork as the case. Nobody Runs Forever: The Making of The Mule – Sit down with Clint Eastwood, producer Kristina Rivera, screenwriter Nick Schenk, actors Ignacio Serricchio, Andy Garcia, Alison Eastwood, and Bradley Cooper, and producer Tim Moor as they share their experiences in working with the movie. They share the work that went into the adaptation of the story, researching the drug cartels, costume design, and other moments they had together. Generally speaking, my wife and I really enjoyed “The Mule” and the performance that Clint Eastwood gave with his work on this. The story is definitely one that raised some interest as I will be doing some further reading on the article that this story started from, and the people behind it as time permits. The visual and audio presentation of the Blu-ray release were really nicely done and offered a really clean experience, definitely making sure that everything could be seen or heard. I do wish that the behind-the-scenes feature in the Special Features menu was definitely longer as I would have loved to have heard more detail on those experiences that were shared. If you’re considering this release for your personal collection, I would without a doubt recommend picking it up. “The Mule” will be available on 4K UHD, Blu-ray and DVD beginning on April 2.